Split This Rock is a grassroots effort—a people’s movement. We need everyone’s involvement to make it happen. The work of Split This Rock depends on a strong financial foundation. Your tax-deductible funds and support enable us to: organize a unique national biennial poetry festival and other public events; provide year-round programming for young writers; foster opportunities for poets to participate in creative activism for social justice and peace; and provide resources that inform and inspire poets and equip them to play an active role as public citizens. Gifts of any size are deeply appreciated. We hope you'll consider giving $50, $100, or more. Click here for more information. As a small non-profit, every little bit of support helps! Contributions of goods or services are greatly appreciated. Some items that are particularly helpful in support of our programs include reduced or free accessible venue rentals, computers or laptops, gift cards, food (especially for some of our youth events) and items that could be used to help us raise money or to thank people like our amazing volunteers. People with specialized skills in areas like design, photography or videography who are willing to offer their services for free or at a reduced rate are also appreciated. 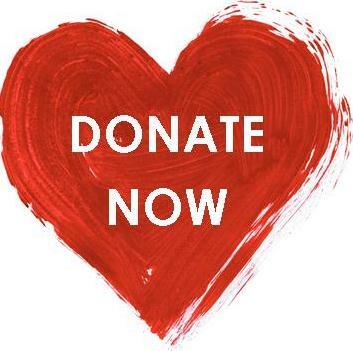 To make an in-kind donation, send us an email at info@splitthisrock.org with the subject "In-Kind Donation." See our full Wish List. Split This Rock depends heavily on volunteers and interns. Positions are available on an ongoing basis to help with publicity, outreach, programming, fundraising, accessibility planning, administration, graphic and web design, and so much more. You do not need to be a poet to fill these positions. For information on our current needs and how to apply, click here. To stay informed of upcoming events, like us on Facebook, check out our calendar for upcoming events or sign up to receive our e-newsletter. Be sure to bring a friend! Whether it's by re-posting, re-tweeting or talking to your friends about the work of Split This Rock, it helps us tremendously when folks share the poems we post, the events we offer and general information about what we do. Join us on Facebook, on Twitter or by signing up to receive our e-newsletters to stay abreast of what we have going on. Check out the Poetry Contests and the Poem of the Week webpages to find out when poems are being accepted. If Split This Rock has touched your life in a meaningful way, let us know! It is always energizing to us to hear about the impact of our work and your stories are an invaluable resource to us when we approach potential funders. Feel free to also post your words on social media and tag us.